Gross Weight Rating 2,995 lbs. 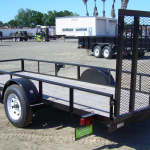 29SA is a long, 5ft wide utility trailer with rear ramp gate. 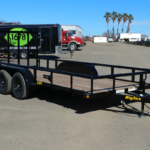 It’s a single axle trailer without brakes, but it has a 3,500 lb. axle and can haul almost 2,100 lbs. of payload. 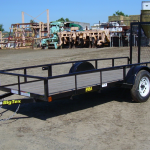 This trailer has been very popular for hauling two ATV’s front-to-back. 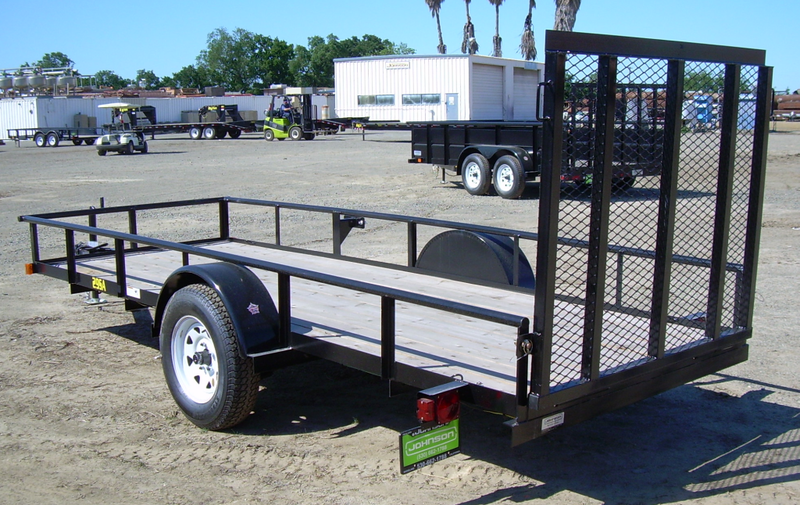 It comes with a 4ft tall rear ramp gate, which makes loading a breeze. 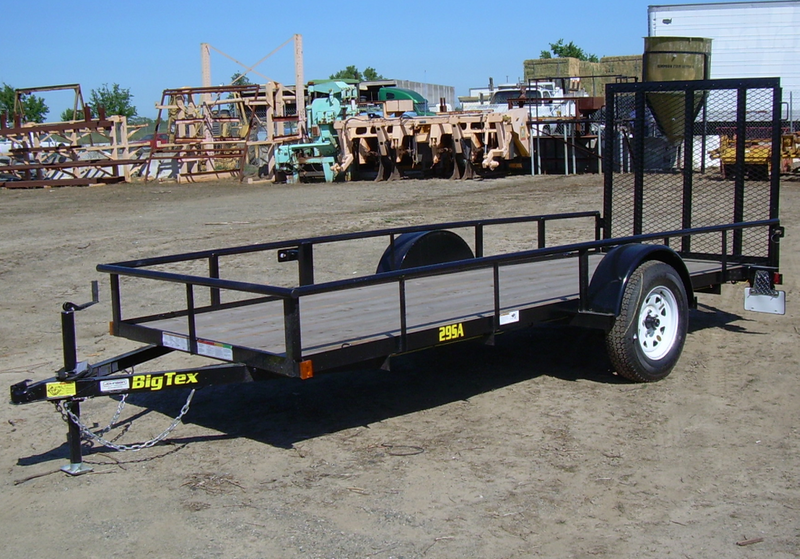 When you need a long but narrow utility trailer, the 29SA is your answer. 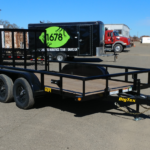 Payload capacity is 2,055 lbs.